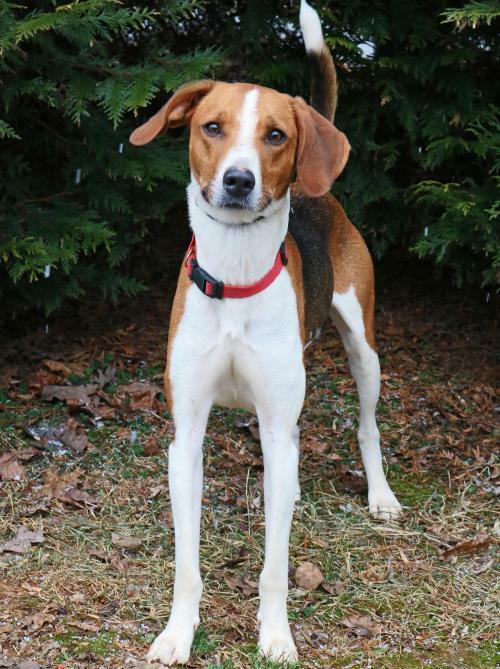 Chester is a English Foxhound, he came to us as a stray on 1/30/19. He weighs around 41lbs. He does good with other dogs especially dogs who are even tempered. He also tested fine with cats. All of our animals have a lifetime commitment. If for any reason, the adoption does not work out, the cats and dogs are to come back to FCHS, which is a NO kill facility. The adoption fees help cover a portion of the care provided to the animals. Please visit our website under adoptable pets for a range of adoptions fees. All pets are spayed/neutered, vaccinated, heartworm tested (dogs) and placed on preventative, microchipped, and more. 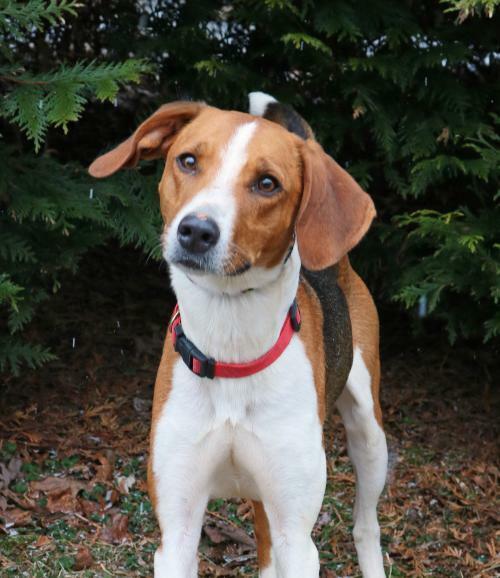 You can find our adoption application at https://www.plannedpethoodrockymount.com/adoptions. Applications or questions can be emailed to adoptions@plannedpethoodrockymount.com. Please email for faster response or come on by during our business hours. Please do not call, this may cause delay because we receive a high volume of calls each day and operate with a small staff. Please submit your application once you see a pet you are interested in. Adoption Center hours are Tuesday - Friday 12-6 and Saturday 11-4.